The first Saturday of the 2017-18 Bundesliga season saw Borussia Dortmund cruise to a 3-0 victory over Wolfsburg. 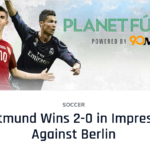 One of the big contributors on the day was Christian Pulisic, who scored the opening goal and recorded the assist on the final goal, walking away with the Bundesliga’s Man of the Matchday honor for the weekend. The 18 year old is continuing to make his case as the United States’ first world class soccer player. Meanwhile, the last man in the running for the role, Julian Green, was nowhere to be found on that same Saturday. He didn’t make Stuttgart’s matchday squad for their loss to Hertha Berlin. The day before, Stuttgart based newspaper, the Stuttgarter Zeitung, gave a reason for the absence: Green has been deemed excess to requirements by head coach Hannes Wolf, just eight short months after the player joined the club. In 2017, it’s hard to even put Green and Pulisic in the same company. For a while, though, it was Green’s name that once got some excited in a way Pulisic’s does now. Seven months before the 2014 World Cup, Green signed his first professional contract, becoming a Bayern Munich player. The interest of Jurgen Klinsmann, then coach of the US men’s national team, was piqued, and the pursuit began. It seemed like a race against time. Klinsmann called him up for the team’s friendlies that month, eager to cap tie an 18 year old without a single professional minute to his name. At the time, the coach said that he and his staff had been scouting for him for two years. “We believe we could help him grow into a special player,” he added. Green began playing hard to get, declining the call up to instead play for Germany’s U-19 team, though he had previously played for the US’s U-18 team. He eventually caved following a visit in February by Klinsmann’s assistant coach, Andi Herzog, and filed his one-time switch by March, was capped for the first time in April, and was on the World Cup roster by June. Integrating Pulisic into the national team was much slower. The player had over 100 Bundesliga minutes under his belt by the time he received his first call up in March 2016, and had spent most of the season with Dortmund’s U-19 team. Additionally, he had represented the US at the U-15 and U-17 levels. Pulisic, though only 16 years old at the time, had the credentials to get people excited. In theory, Pulisic, by being on the Copa America Centenario squad three months after making his US senior debut, was incorporated into the team faster than Green. Then again, the scale of the tournament, compared to the World Cup, was much smaller. Plus, Pulisic’s greatest contribution in the summer of 2016 was fangirling over Lionel Messi while the two were being drug tested following the US’s 4-0 semifinal defeat to Argentina, which isn’t really comparable to being the youngest ever American to score at a World Cup. Following their first summers with the national team, recognition and American obsession followed them both, as did subsequent call ups. From that point, though, their paths diverged, seemingly for good. Green, after spending preseason in the United States with Bayern, was not set to be part of Pep Guardiola’s squad for the 2014-15 season. Instead, he had secured a move to Hamburg. He played five times, starting only once, and did not play a single minute after November. The season after his breakout summer was a bust, and after May, Klinsmann hardly called him back. 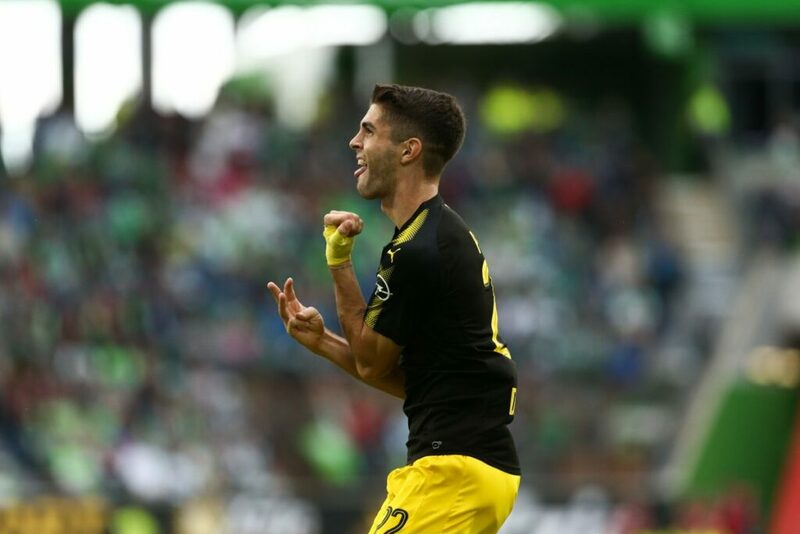 Pulisic’s tame summer was followed up by breaking into Dortmund’s first team. The 2016-17 season saw him play 43 times in the league for Dortmund, scoring five times in all competitions as they won the German Cup and made a run to the Champions League quarterfinals. In the process, he had earned his first start with the US, coming in a World Cup qualifier against Trinidad & Tobago in September 2016, in which the team won 4-0. Green’s first start came a month later, a year and change after his last call up. Though he scored twice in two games, he left little impact and has not been seen since on the national team. He and recorded limited minutes in Germany’s second division towards the back end of the 2016-17 season. The warning came with each and every player tagged as America’s next big thing, from Jozy Altidore to Juan Agudelo, to Green and Pulisic: “What if he turns out to be like Freddy Adu?” Pulisic ditched that narrative months ago, and there is no looking back. Since Adu faded away, though, hardly anyone has matched him as the most highly touted bust in American soccer history, and it’s unlikely anyone will. Yet, three years after he scored on his second touch in World Cup play, Julian Green is closer to Adu than anyone before him. There is only so much we know about Green as a player, since he’s never had a consistent playing spell in his professional career, though Adu did have that much. Instead, Green’s now looking for a fourth club in three years, which is a rate similar to Adu (and the many journeymen the sport has had over the years). Truth be told, though, Green cannot match Adu’s cult status. Green, at this point, is just the fizzled product of excessive excitement on the part of a coaching staff that is no longer employed. For every time we may get annoyed that Adu and Pulisic are mentioned in the same sentence, it is worth acknowledging the Adu warning does apply in Green’s case, a victim of the hype placed on him that he did not have the ability to live up to. The simultaneous rise of Pulisic and fall of Green could finally allow the overeagerness of the American soccer hype train to slow down. Pulisic’s success calms the appetite for a top American soccer player for sure, but coupled with the Green example, the American soccer public now has the template for when things goes right to go with the more familiar template for when things go wrong. 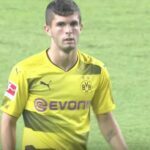 With that comes the potential to judge the next possible Pulisic more fairly, and maybe Green will be the last of his unfortunately overhyped kind.